Driven by its notions of looking beyond business gains, growing for a better tommorow and seeing the customers as an ally - Hari Om Developers Pvt. 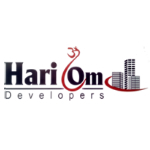 Ltd.is now bringing to you a one of a kind projects that is intended to both delight and astound patrons.Hari Om Developers Pvt Ltd has always been a visionary of better life style. Keeping touch with the dynamics of the real estate development. We have an ambition to come out with many revolutionary projects in the near future. Ours in depth understanding of contemporary tends is a fine potrayal of our versatility in the infrastructural development.We are committed to deliver the concept of green house under the guidance of good experienced member in real estate.